Green Smoothies is one of my favorite ways of starting my day.Â They are so nutritious and easy to make. Also perfect on-the-go. But one of the best things is that you can mix them with whatever you like. Yes – a mix of everything. Delicious and so energizing! Note: I like to use a fresh orange with pulp and everything instead of orange juice. Makes it more nutritious and less processed. 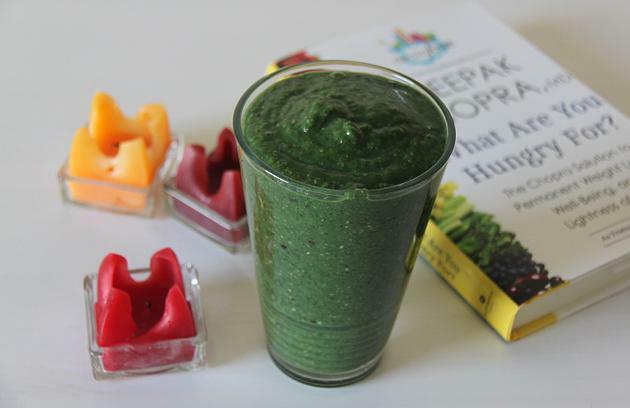 If you wanna read more about how to create The Best Green Smoothie - take a look here. This entry was posted in Smoothies and tagged avocado, chia seeds, dates, ginger, pumpkin seeds, spinach, spirulina on December 10, 2013 by Mikaela.